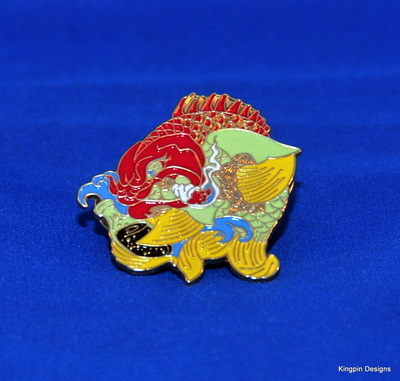 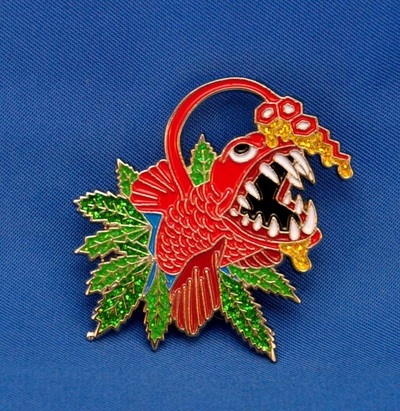 This pin is another official merchandise item for the widely acclaimed nationally touring Sublime tribute band - Badfish (http://www.badfish.com/). 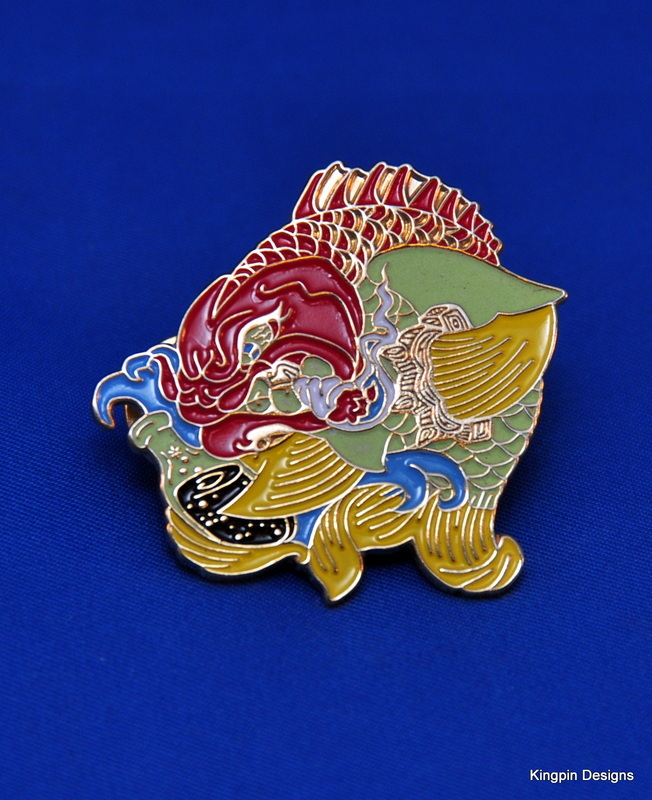 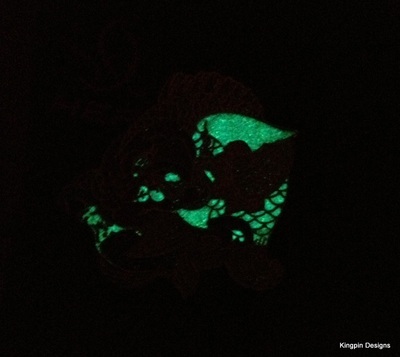 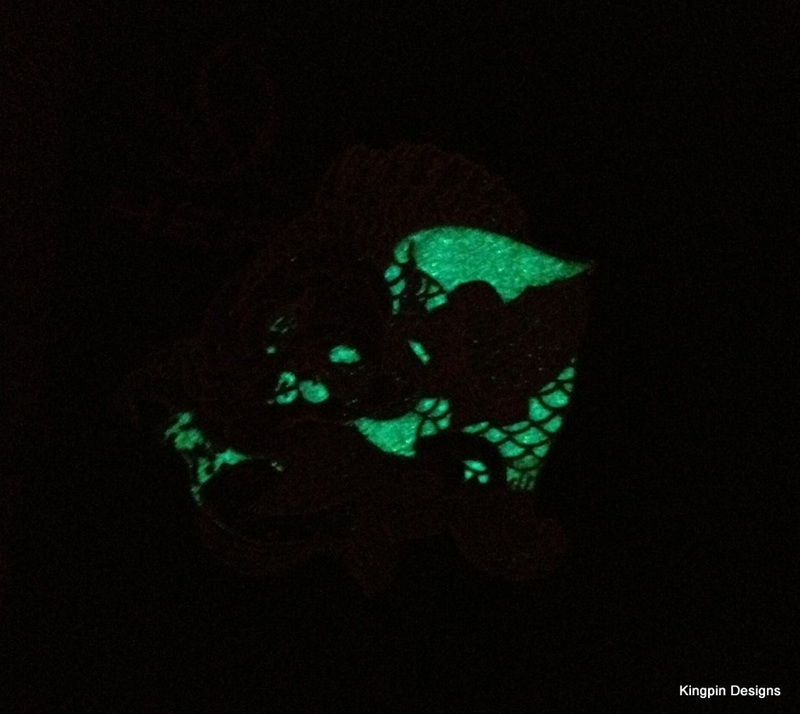 It features a very special type of fish... one that lurks in the deep dark depths of the ocean. 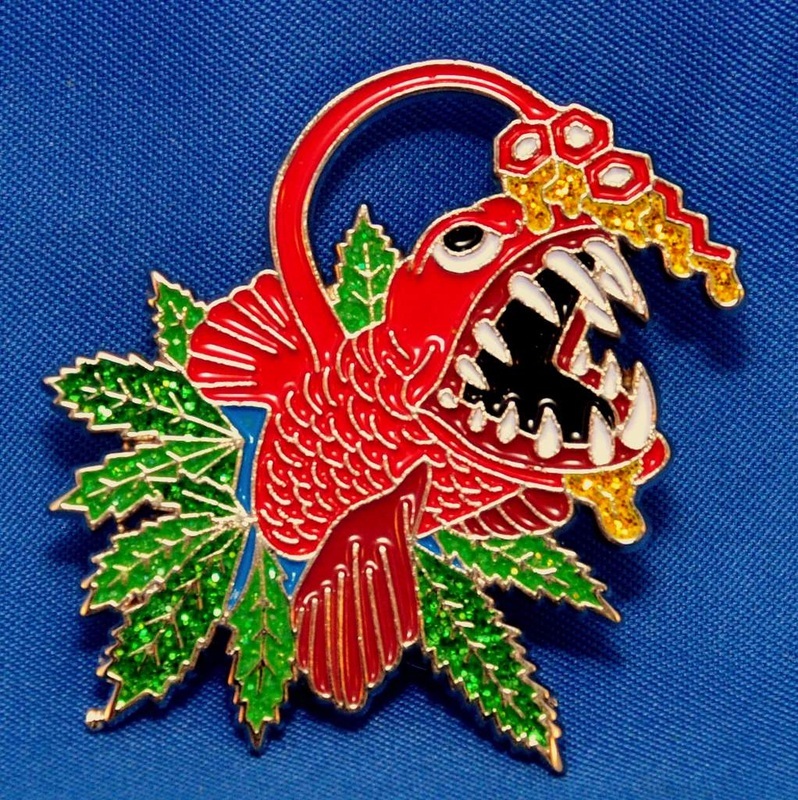 This fish has sweet green glittery leafs as a tail and a certain "high grade" molecule antenna, which is dripping with a golden glittery wax. 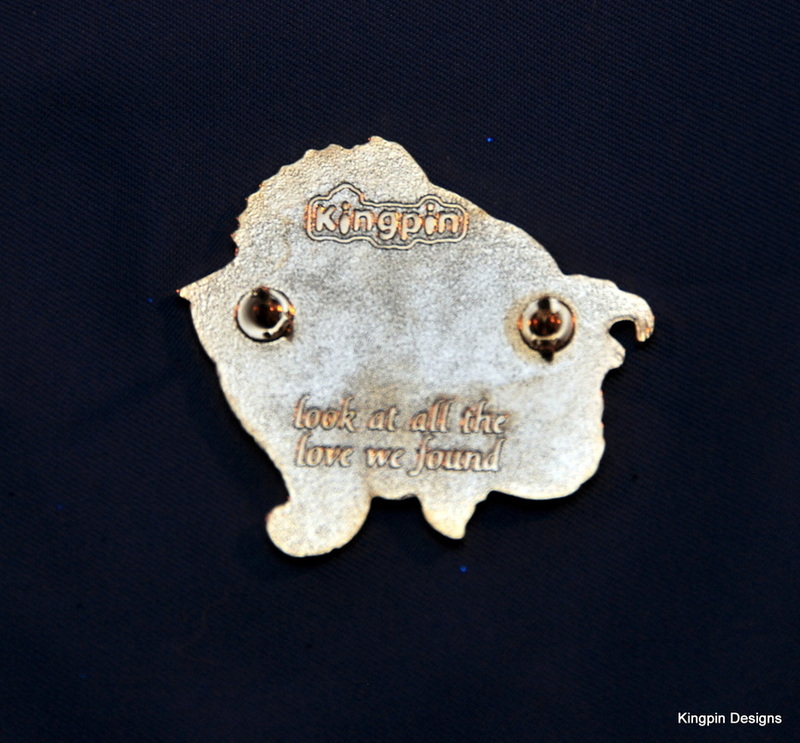 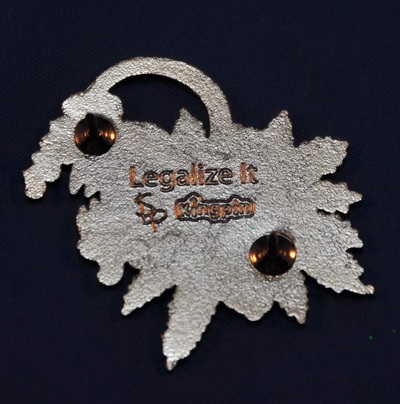 This pin is 1.5 inches across, soft enamel, has 2 backs and is stamped with the Kingpin Designs logo, the artist's logo and the words "Legalize It" on the back. 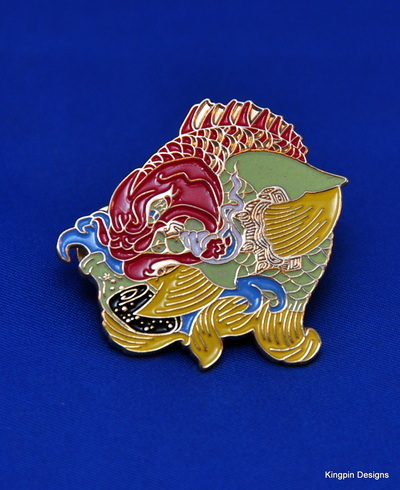 Current edition size is 150.